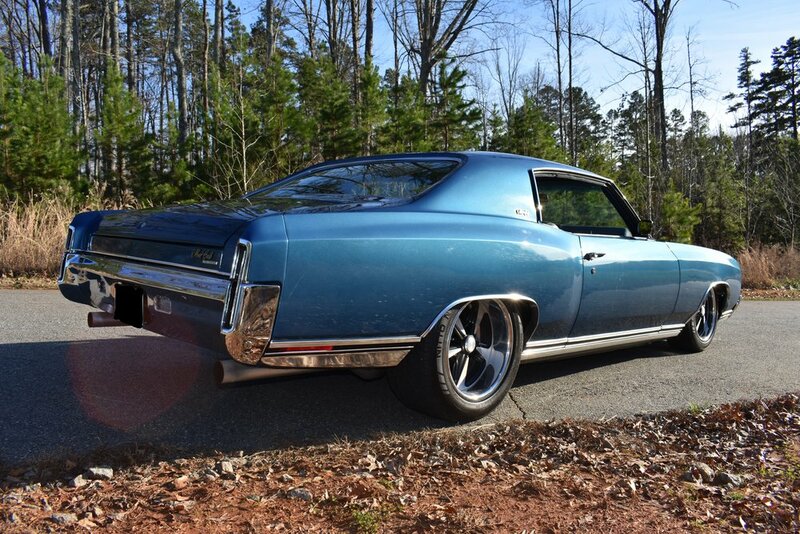 This full size coupe was brought to us to be transformed from a daily driver to a tire burning muscle car. 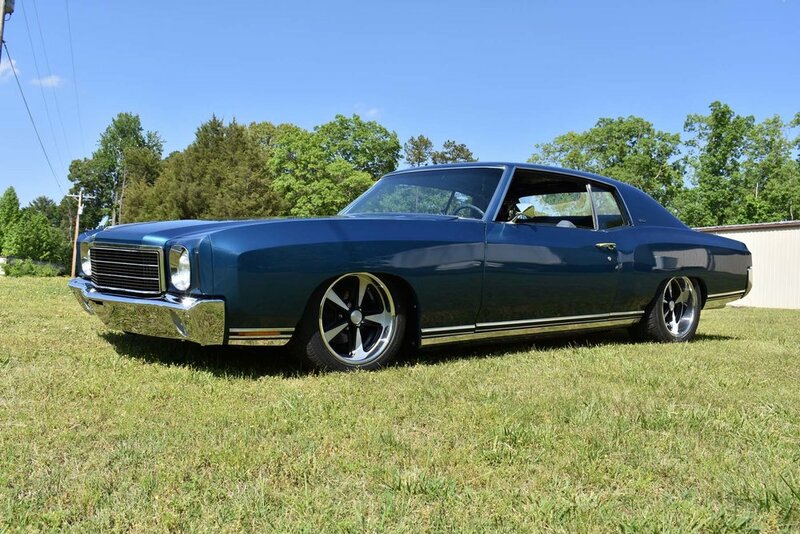 Starting with a frame off restoration, this Monte Carlo lost the years of rust and aged paint by soda blasting its shell to a clean bare steel. After meticulous sheet metal repairs, the body work is completed and primed. 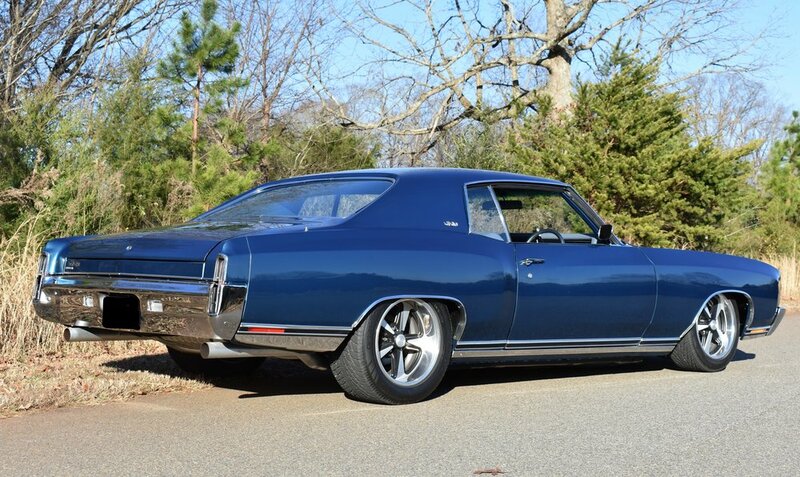 The shell was then painted with GM Fathom Blue, provided by Axalta Coatings. 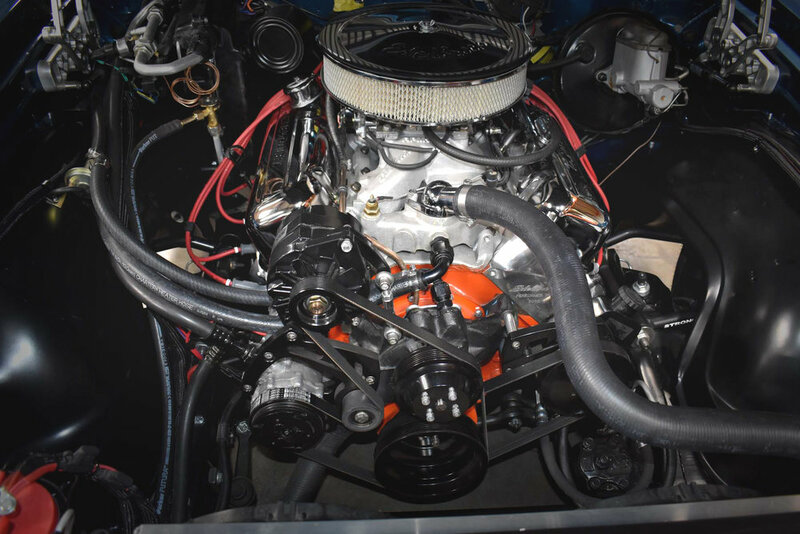 To get this full size moving, the 402cu in big block that was pulled from the rails received a full rebuild. 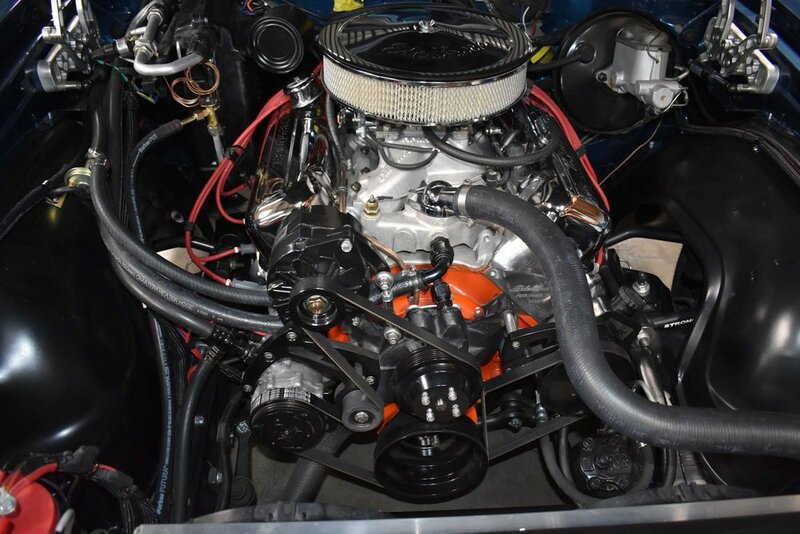 The rebuild consist of an Edelbrock aluminum intake and heads, Comp cam and custom domed pistons nestled below a FiTech EFI System finished off with all ARP fasteners and a March Performance Serpentine pulley system. 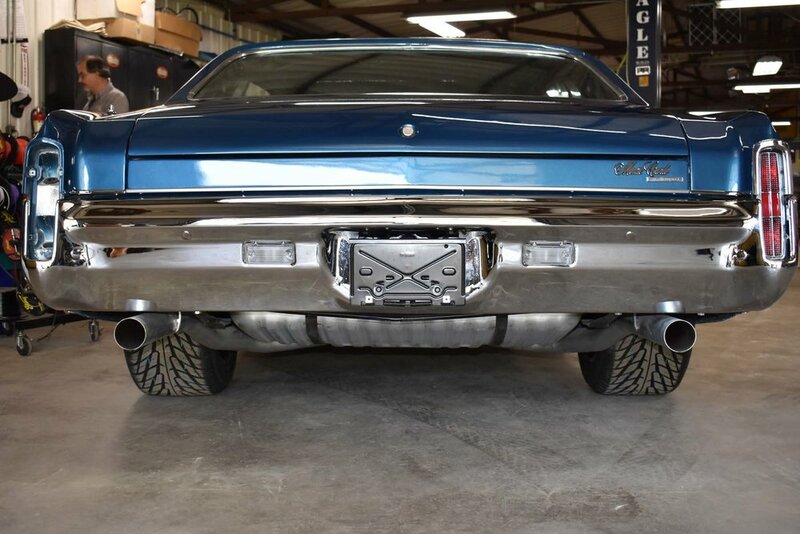 To get the grunt to the rear of the car, 3’’ mandrel bent tubing was used. 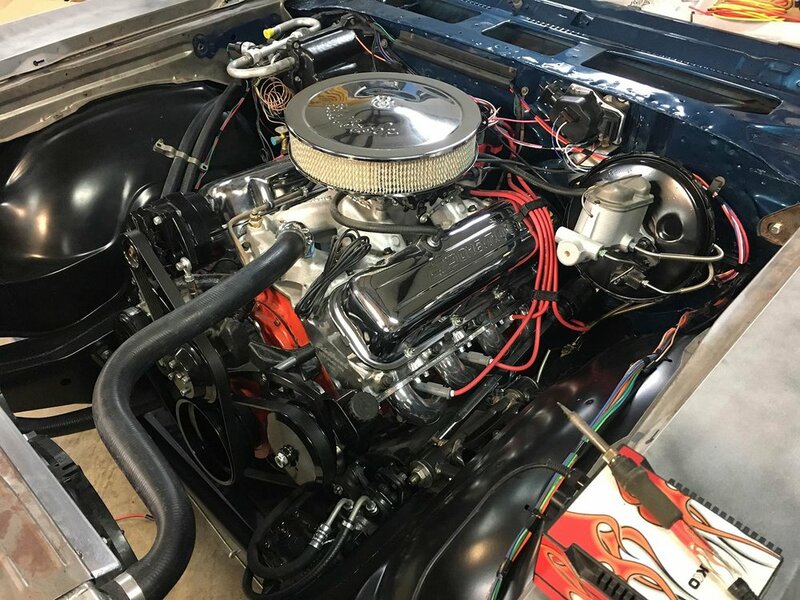 Behind that 402cu in big block rests a Monster Transmissions 4L80E transmission, controlled by a Compushift controller. 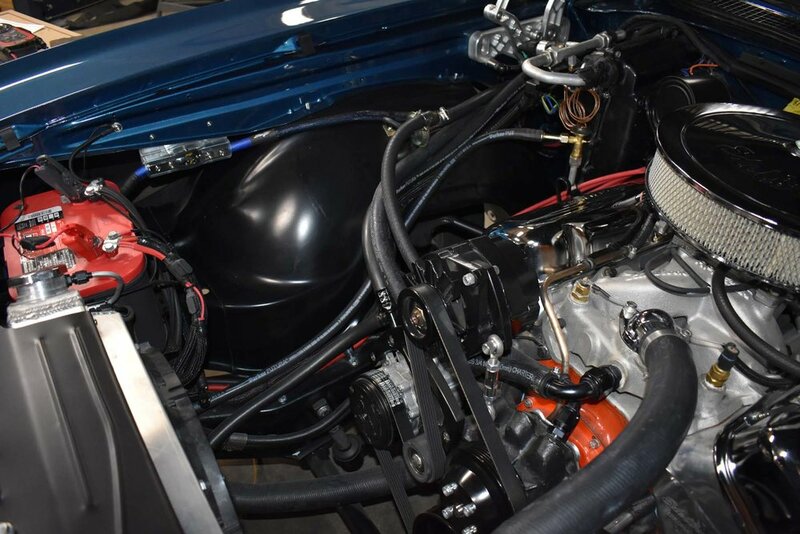 Helping get the power to the narrowed Ford 9” Currie housing is a custom built driveshaft from The Driveshaft Shop. Stopping this beast is a set of Wilwood disc brakes. 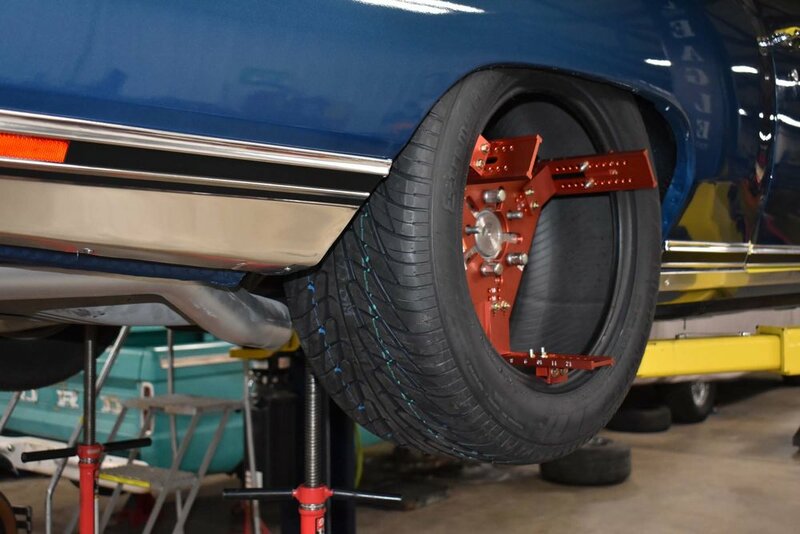 Full airride suspension from Ridetech, which features front and rear anti-roll bars, keeps this full size under control. A digital controller mounted in the cockpit allows full suspension adjustability with the push of a button. 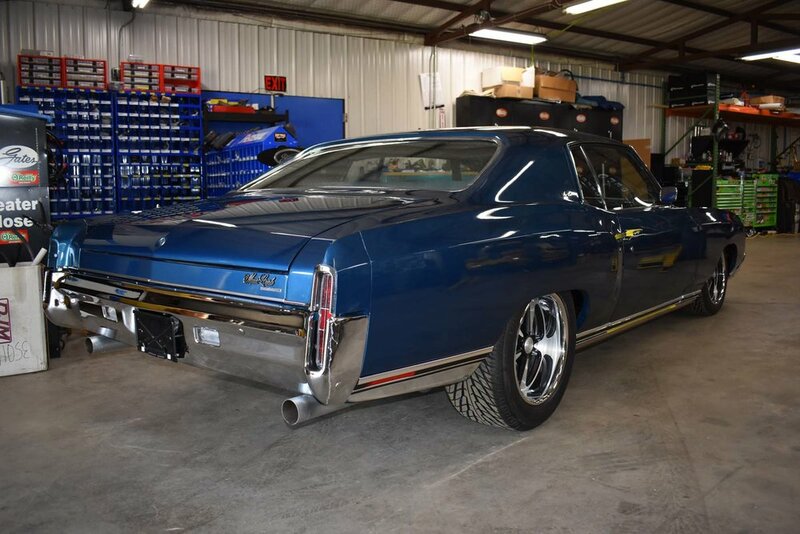 As for rolling stock, the Monte sits on a custom set of US Mags Bandit 17” wheels wrapped in Nitto rubber. Keeping the passengers comfortable is a pair of custom bolstered and stitched bench seats. 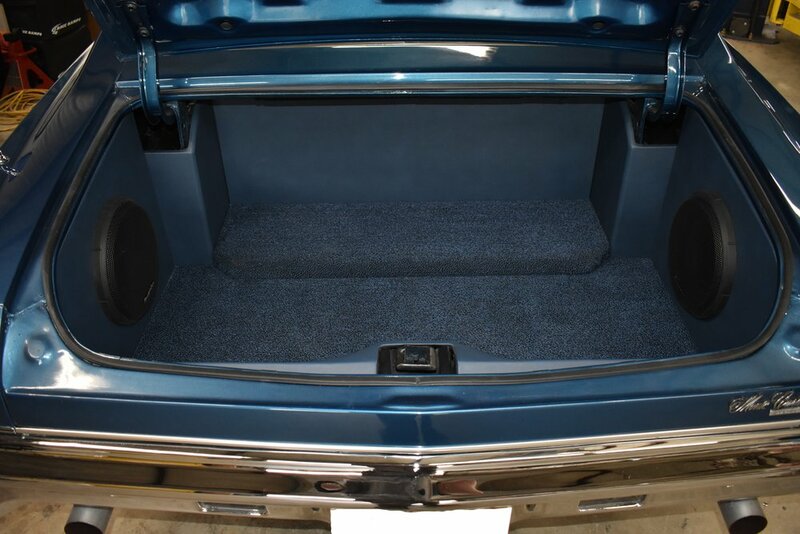 The Stinger Road Kill keeps the heat and road noise out of the cabin for the passengers to enjoy the Phoenix Gold audio system, which consists of 6.5” components up front, a pair of 6X9” mounted in the package tray and two 10” subwoofers in the trunk, all powered by 1600 watts of pure power.